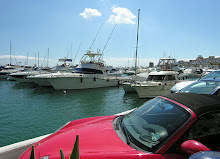 Marbella is known for luxury and great properties. It is easy to find villas for sale in Marbella at almost any price between 1 and 5 million euros. Similar properties in other areas can cost half of those in Marbella. How about a great villa in La Sierrezuela near Fuengirola? Marbella is still the best location for a large luxury villa. If you construct a villa in an area not suitable for the price level, it can be quite difficult to sell. Another way is to find a luxury villa for rent in Spain. Not everybody wants to live in the town, and for them we have the right area. Have you heard about Las Chapas?